I love fashion, and am fascinated by politics, especially the democracy movements in the Arab world, but I’d prefer it if Vogue magazine stopped trying to be my source for all things both fashionable and political. Has Anna Wintour gone from the chief of fashion police to fashion dictator? “Asma al-Assad: A Rose in the Desert,” written by Joan Juliet Buck for this month’s edition of Vogue, is a glowing portrait of the Syrian first lady and her family. 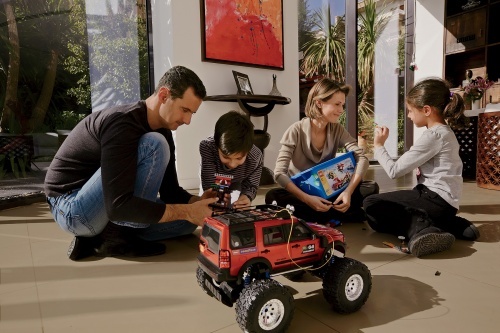 It’s too bad Asma’s husband, the “tall, long-necked, blue-eyed” Bashar al-Asaad is President of one of the most repressive dictatorships in the world. But never mind all that! What a lovely family (and apartment) the al-Asaads have! President Al-Assad was “attracted to studying eye surgery because…there is very little blood.” What self-respecting Middle Eastern dictator doesn’t like blood? You’d never guess that based on the way he’s ordered scores of unarmed protesters to be arrested, tortured, shot and killed—including arresting 12 to 14-year-olds and torturing them by ripping out their fingernails. The al-Assad “the household is run on wildly democratic principles” — why not extend those principles to the entire country? Buck also writes that al-Assad was elected president in 2000 “with a startling 97 percent of the vote” — honey, that’s a common, not startling, sign of a dictatorship if there ever was one. …When Angelina Jolie came with Brad Pitt for the United Nations in 2009, she was impressed by the first lady’s efforts to encourage empowerment among Iraqi and Palestinian refugees but alarmed by the Assads’ idea of safety. “Where’s your security?” asked Pitt. “So I started teasing him—‘See that old woman on the street? That’s one of them! And that old guy crossing the road? That’s the other one!’ ” They both laugh. Ha ha! That’s some punch line! In the four months since it first stirred, the Arab awakening has simply refused to be put to sleep. It seems that young people seeking freedom in the Middle East will not be denied once they have broken through their own wall of fear. I’ll be sure to check the latest issue of Vogue if I want to know which direction hemlines, not dictatorships, are headed. For everything else, I’ll stick to the much less fashionable traditional news outlets, thank you very much! How can this article be? Have they completely lost it at Vogue? This is hugely upsetting. Hi Sandy – my sentiments exactly; I couldn’t stop thinking that vogue’s gone completely mad when I first came across that piece, which is why I had to write about it. Thanks for reading — and commenting! Interesting enough that Vogue removed the article, without giving a line of notice to its readers. However, I should admit that Asma is quite a glamorous lady. I wonder if she regrets her choices. My guess is that she was pretty horrified once the truth about Assad came out — the timing was pretty incredible — I as recall, I think the issue came out the same week or so that the first protests began in Syria. Otherwise she wouldn’t have taken the piece down as quickly as she did, so yes, I’m sure she regretted it. And well she should — WTF Vogue! As you can imagine, the comments were pretty harsh (and deservedly so). here’s wishing you a healthy and peaceful 2012!